2015 has just begun and like every new year it brings with itself a promise of a brighter future and hope that it will ‘THE’ year you have been waiting for. For me, 2015 is many things- most importantly, it the year for me to make some serious, much needed changes. While I have never been a believer or follower of New Year resolutions (don’t have the will power or patience to follow it through), for me, it is more about bring gradual rather than drastic changes. One such change is to do more beauty post. I also plan to add a few more new segments to the blog as well. In the spirit of new beginning, I decided to start my 2015 blogging journey with a beauty (makeup, really) theme post. December being my birthday month, I treated myself to all things MAC. Honestly, I always want to buy out the entire store, but with a heavy heart and Herculean resisting powers, these 5 beauties made it to my final list. Here’s why I decided to go with these five? Since I already have quite a few of the classics, I wanted to try the new festive collections. 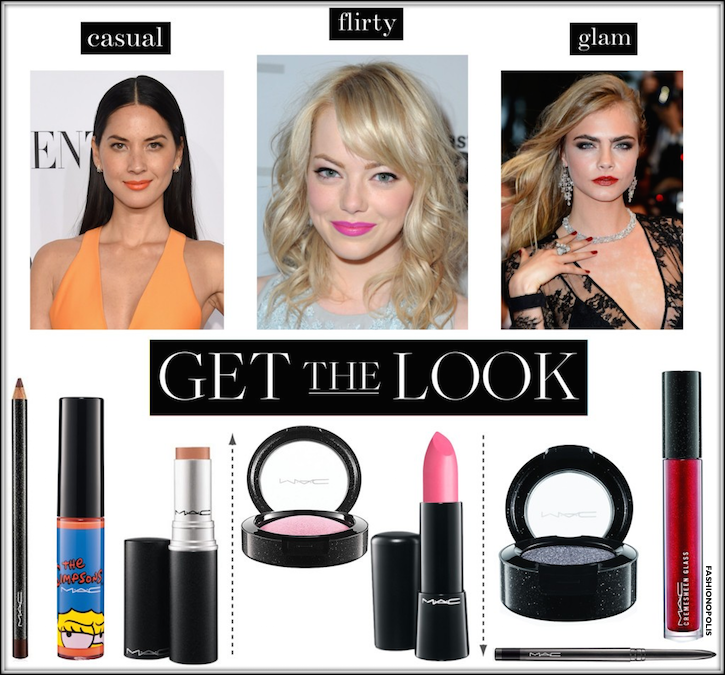 All products I choose are very versatile, can be worn during the day and night, and multi-occasion friendly. 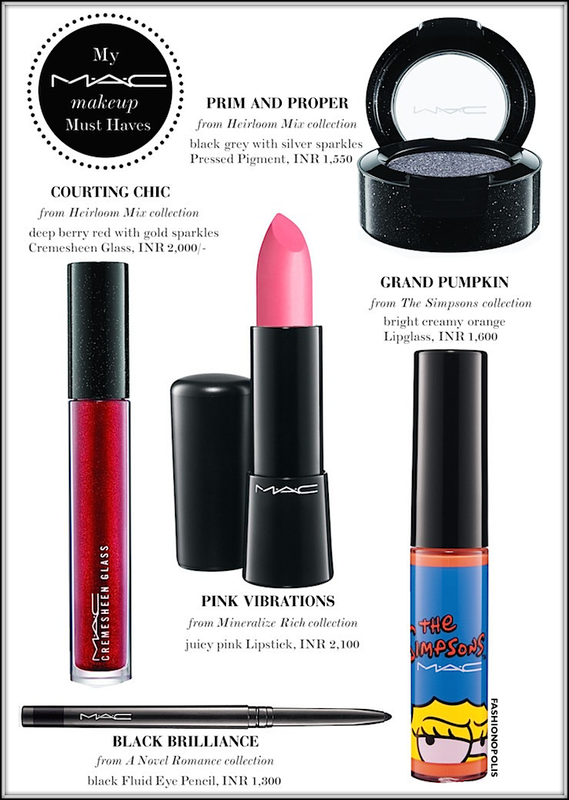 I picked pieces from MAC’s three new collection: Heirloom Mix, The Simpsons and A Novel Romance. I loved how the Heirloom Mix collection had managed to cast the classic collectible in a contemporary, glittering light. Like me, if you love to make a statement with your makeup, this collection has your name written all over it. The pop culture junkie I am, wild horse could not keep me from buying something, if not the entire collection, from my all time fave TV show, The Simpsons collection. Especially when the collection was in honour of its 25th anniversary! While I was pretty much sold on the name itself, A Novel Romance, a colour collection offering luscious shades that makes one feel so overwhelmed with desire that you will be seduce into buying a few pieces for sure. Instead of going with a run-of-the-mill product review and swatches, I decided to show how you can create three distinctly different looks using products from MAC's latest collections. 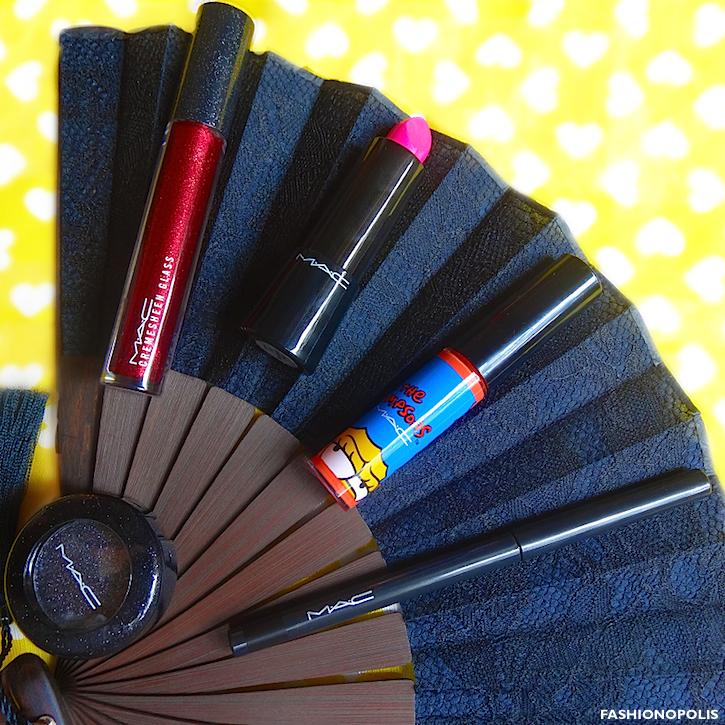 Thanks to these MAC products, I have started my New Year on a bright, colourful and glittery note. Here's wishing you all a wonder 2015. Hope it is everything you want it to be and more.